Most of the cards offer a flat cash back rate for all purchases, while others offer higher cash back rates across rotating categories like dining, groceries and shopping. With the cash back credit card you don’t have to worry about how much cash you have in your pocket or wallet. You don’t have to carry a heavy bundle of the notes and stack of coins in your pocket while going for shopping, dining, traveling and many more. Even if you have no balance in your account then your debit card is of no use but, a credit card comes in handy to you do shopping and entertainment hassle-free. The cash back credit card not only refund a percentage of amount that you spend but also offers number of reward points on the amount ion the same. You can use these reward points to get discounts on shopping, dining and more and can later redeem these reward points to enjoy benefits. 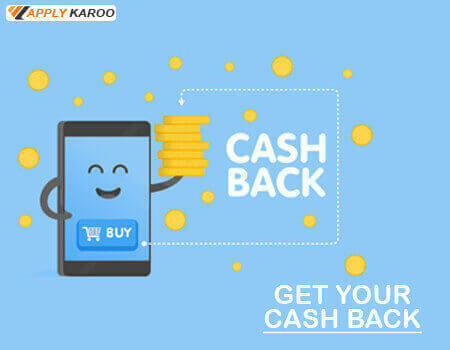 One of the main advantages of using cash back card is that, your money remains in your checking account until you pay your credit card bill and you can defer your payments till your bill due. Most of the banks provide grace period to their customers within which they can pay their outstanding EMIs without any extra interest charges Banks offer a maximum 50-day grace period starting from the day of the bill for paying dues back. And, if you pay off your balance before the statement period ends, then you can be rewarded with an interest-free days on future purchases for a set period. Another benefit of owning a cash back credit card is that you can build or maintain your credit score easily, if you don’t own any other type of loan and repay all your credit card dues on time. How to select the Best Cash back Credit Card? Examine your day-to-day expenses and deciding how much of your monthly budget is going towards paying for groceries, entertainment, shopping, dining, traveling and many more. Because, based on this you will be able to choose the best credit card that gives you maximum cash back and rewards on a certain category. The payment behavior of your is the most important criteria that you have to know while choosing the right cash back card. As, if you do not pay off your dues on time, then there is no advantage of having a cash back credit card so, to avoid the accumulating a very high interest amount you must make sure that you pay off your credit card dues every month. Otherwise, the extra benefits of the cash back card are swabbed away by the accumulated interest payments due. The thing that you must be absolutely sure about before applying for Cash back Credit Card or any other credit card are the fees and charges of the cards. Because most of the times it happens that the card issuers may offer extremely attractive discounts and unmatched benefits to the individuals but the annual fees, renewal fees, joining fees and other charges related to the card may be very high so, it is very essential to check or know about all the fees and charges regarding the card. This may strip you off the cash back that you earn on your spending. Before choosing the card you should carefully consider your monthly net income and have to decide that whether you can afford to have a credit card or not as this could considerably increase your expense and might possibly put you in liability. It is advisable that, if you are absolutely sure about that you can pay off your monthly credit card bills every month then only go for a credit card.